when I finished my Guppy Starship Moc, there was a bunch of parts left. 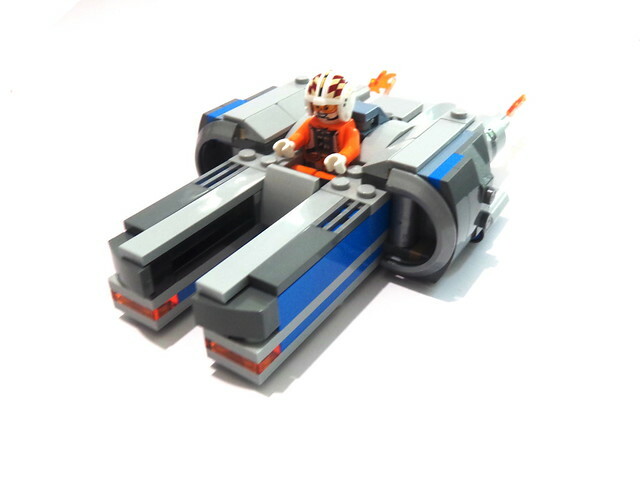 I already had the project in mind to build a landspeeder out of the whole set so I gave a try. I'm quite satisfied with the result, keeping in mind that's a side build. ﻿I may try again with the whole set later, but I'm not sure.